Paul Philippe Cret was born in Lyons, France, in 1876. He attended architecture school at the Ecole des Beaux-Arts in both Lyon and Paris. He had already won many architectural awards when he was recruited, at age twenty-seven, to teach architectural design at the University of Pennsylvania. 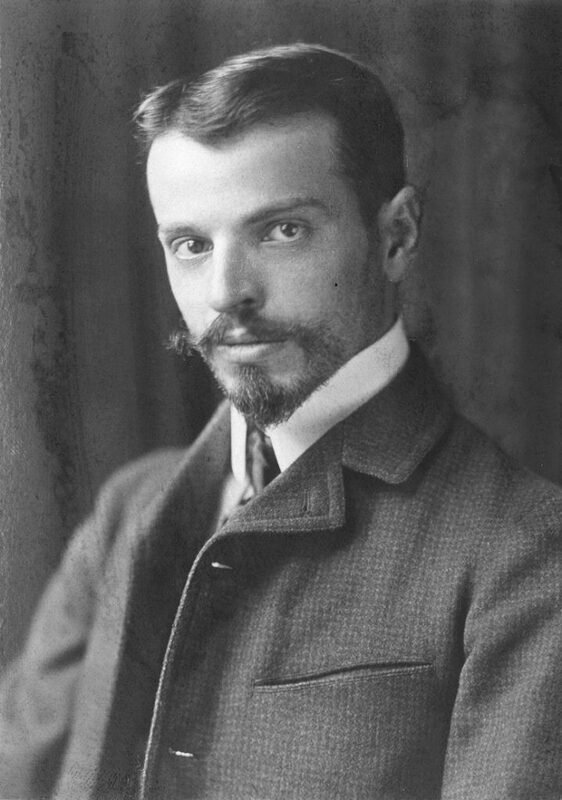 In Philadelphia he served as professor of design at the University of Pennsylvania from 1903 until 1937, except for a leave of absence during World War I when Cret served in the French and American armies. During his tenure at Penn, Cret influenced a number of young men who went on to become well-known architects, including Robert McGoodwin, Sydney Martin, John Harbeson, Alfred Bendiner, and Louis Kahn. Cret was on a visit to France when World War I broke out. He joined the French army and did not return to the United States until the war had ended and he was discharged. Upon his return to the U.S. he was asked by the Roosevelt family to design a memorial to Quentin Roosevelt, the son of Theodore Roosevelt who died in World War I. This began Cret’s affiliation with the American Battle Monuments Commission. He served as consulting architect for that organization from 1923 until his death. Cret was a prolific and influential architect. In the Philadelphia area, Cret co-designed (with Jacques Greber) the Benjamin Franklin Parkway, including the Rodin Museum. He also built the Delaware River Bridge, now known as the Ben Franklin Bridge, with an engineer. His other projects in Philadelphia include the Barnes Foundation Gallery, the Memorial Arch at Valley Forge, and Rittenhouse Square. Further afield Cret’s designs include the Pan American Union building and the Folger Shakespeare Library in Washington, D.C., and the campuses of Brown University and the University of Texas at Austin. Cret’s designs were implemented for only two buildings on the University of Pennsylvania campus: the Cret Wing of the Chemistry Laboratories (1941) and the renovations to the Moore School Building (1926). Cret’s architectural vision was also expressed in other campus buildings and plans he designed but which were never built. These included an Alumni Hall, a School of Architecture building, and “College Avenue” which would have extended from College Hall north along 35th street to at least Chestnut Street. During his lifetime, he received many awards, including being named an officer in the French Legion of Honor and receiving an honorary degree from the University of Pennsylvania in 1913.